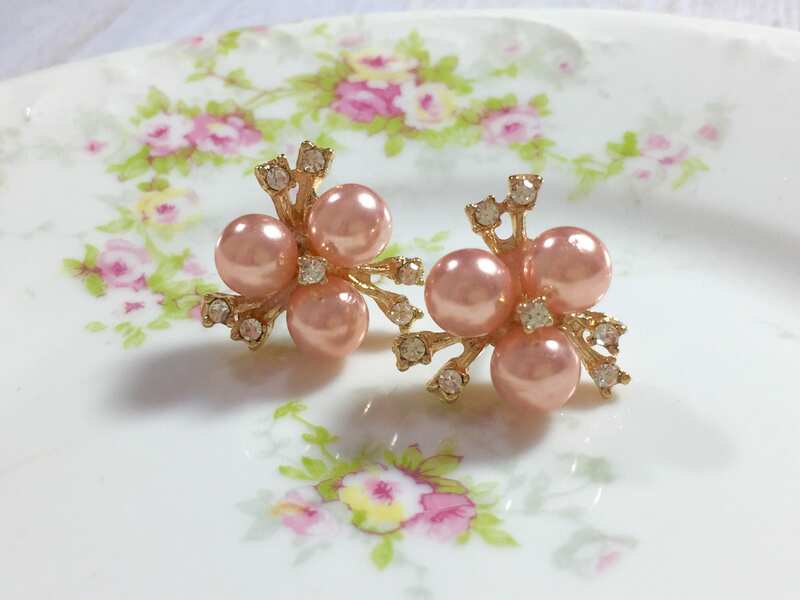 These are the vintage style peachy pink pearl rhinestone starburst earrings are the perfect statement for weddings, prom or other dressy occasions. 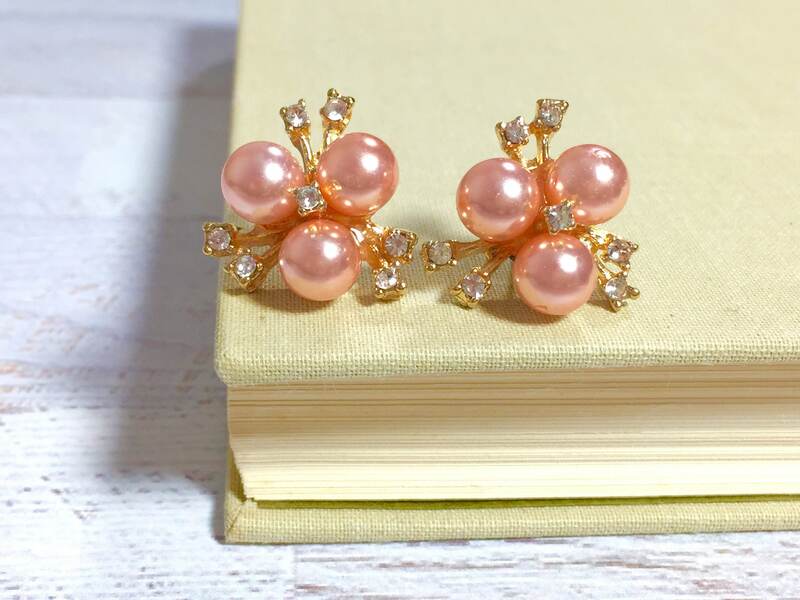 These stud earrings feature three pretty pearls and a rhinestone starburst. 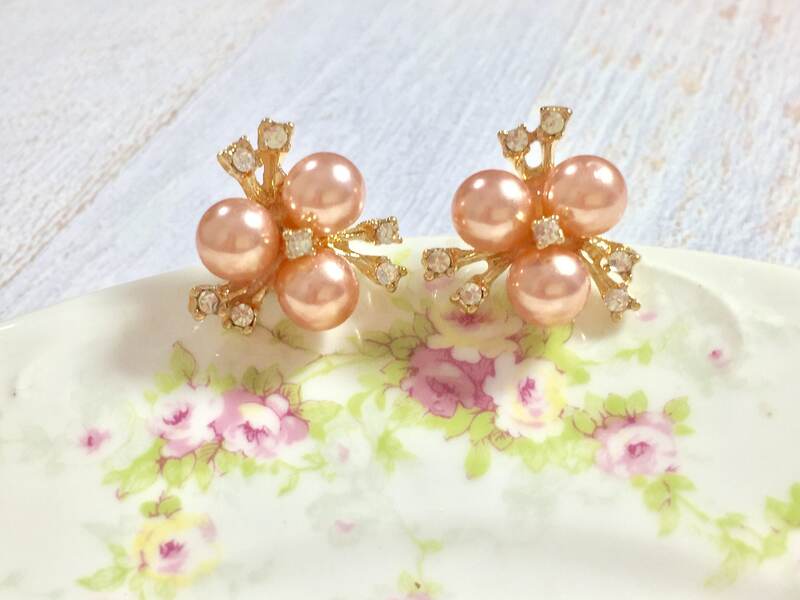 These earrings are finished with surgical steel studs on a zinc alloy base. You are purchasing a pair of earrings like these measuring approximately .78 inches (20mm) in diameter. 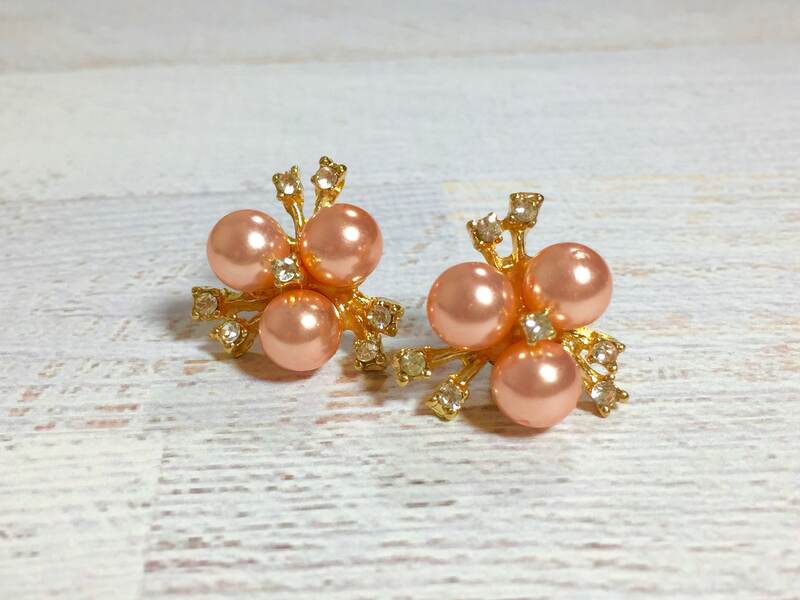 PLEASE NOTE: All stud earrings are MADE TO ORDER so please allow up to 72 hours for me to make your earrings prior to shipment. Thanks so much for your understanding.